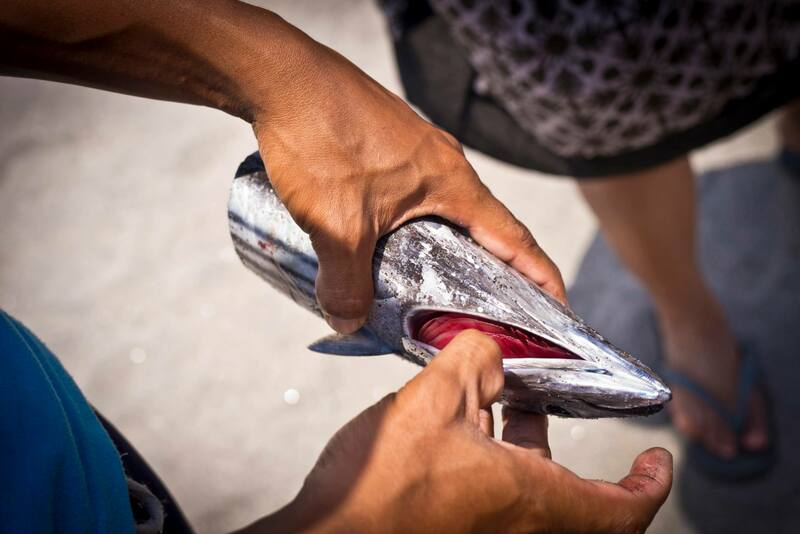 Hampas ng La Paz: “Local Fishing” (Part 7) – CREATE. PLAY. TRANSFORM. My afternoon trips to the beach have sparked some interest in me, to knowing more about the lives of the fishermen, who are living in the shores of La Paz. Fishing is a skill I respect highly. With hours and days being in a boat on a sunny or rainy day, to survive without getting sick is a goal. People look forward to eating fish. During the storm, no one sells fish in the market. The wives prepare their husbands’ meals to be brought for their trip. 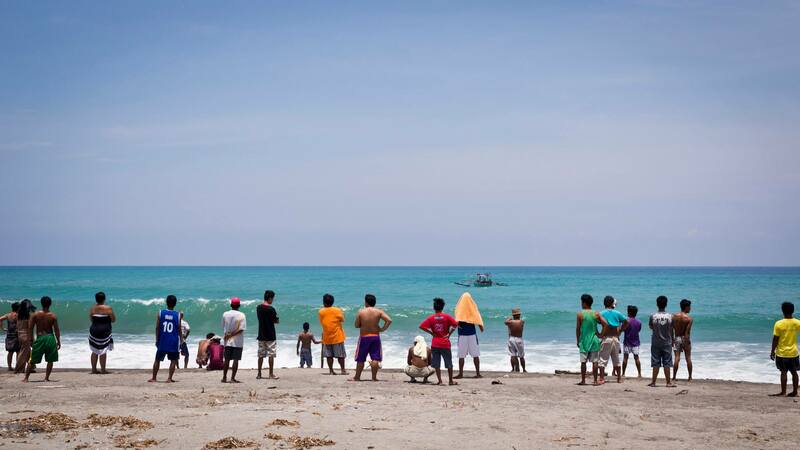 A day before the skimboarding competition, I was told, that a group of fishermen, are on their way back from a fishing trip. They were away from their families for four days and a few of those days were spent in the rain. 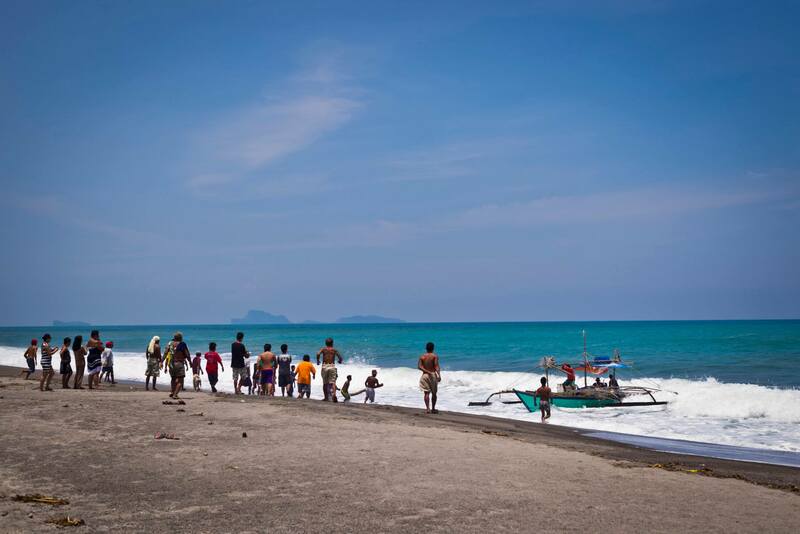 While the locals and some of Clay Ave students were resting after the open firing at Villa Kiana beachfront, someone came to us and mentioned about the arrival of the big boat from a fishing trip. 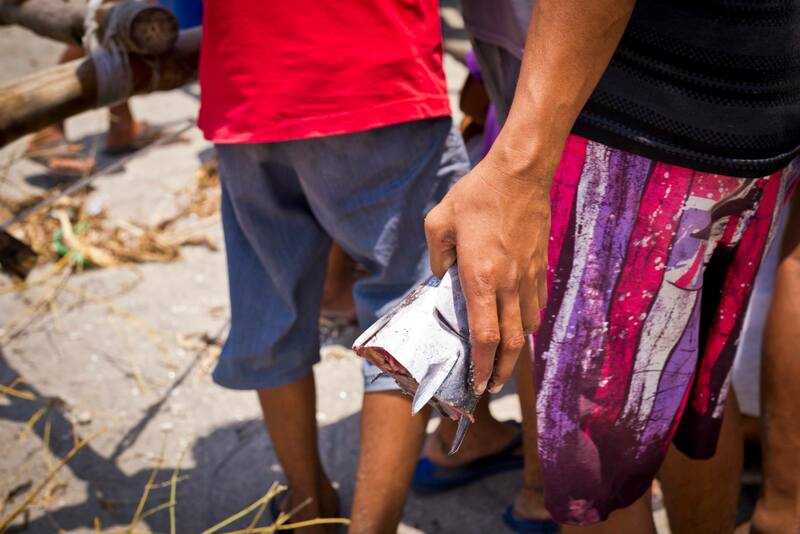 We were told that fish is given to those who will help in pulling the boat to the shore. 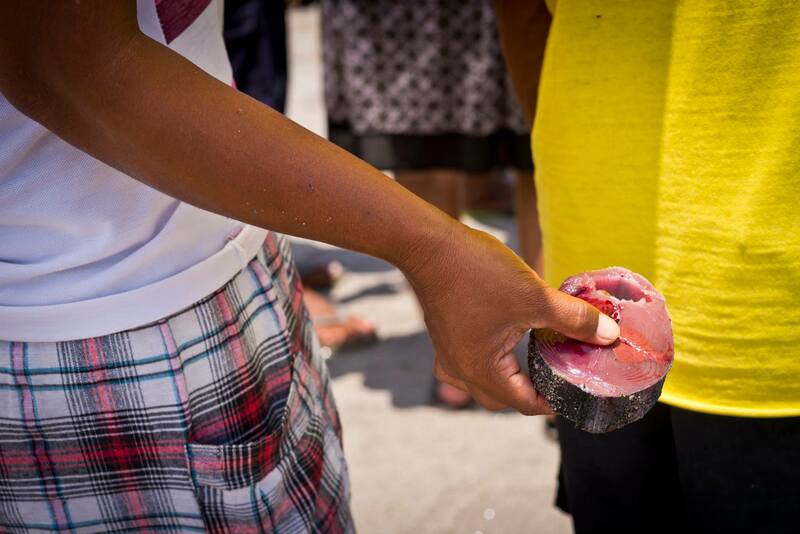 The closest I can get to having fresh fish is through the market. But nothing else can be more fresh than getting it straight from a fishing trip! We all waited patiently as the boat approaches to the shore. It was a very hot day. We all pulled as hard as we could. With all our efforts on the rope, it feels like we’re not pulling enough. We take breaks and catch our breath from time to time. 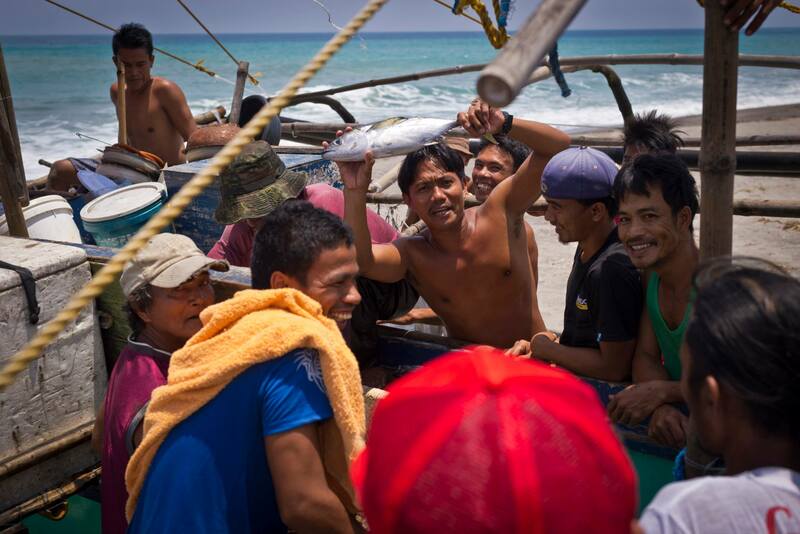 It was challenging and I can’t help but notice my mixed emotions: Wanting the fishermen to finally rest in their homes with their families, excitement in seeing fresh fish, fighting the scorching heat, and the joy in being a part of all this process. Each pull helps these fishermen to come home soon. Tuna, Tilapia, Bangus, Bonito, are just some of the fresh catch from the trip. It was a privilege, meeting a senior fisherman, whom I had some drinks with, one evening in July at a local store near the beach. An invitation to go fishing with him was generously offered. I was told by the locals that it is not easy to go fishing at any time. Dizziness is just one of the things that can happen out at sea. “Do you want a real adventure here in Zambales?” this man asked, “Come and go fishing with me!” All I could do was laugh. With all his experience in fishing, and myself with no knowledge in catching fish at all, I am challenged. Very challenged. Who knows, maybe my next trip to the province will all be about fishing! Up next: Skimboarding competition and a lot more!